With the advent of automated decision making has come a whole new vocabulary for algorithm design. We say that automated decision-making should be "fair" or "unbiased" or "nondiscriminatory". But our algorithms speak only mathematics, and these words need translation (if at all they can be translated). Over the last few years, the research area of fairness, accountability and transparency has made attempts to formalize what it means for an algorithm to be fair. In this talk I'll discuss what has become a conversation between society and belief systems on the one hand, and mathematical formalisms on the other. I'll explain the different formalizations of fairness and how they reflect differing perspectives on how society understands fairness and bias. On the other hand, I'll describe how the formalizations lead to conclusions about the possibility (or not) of fair decision-making. 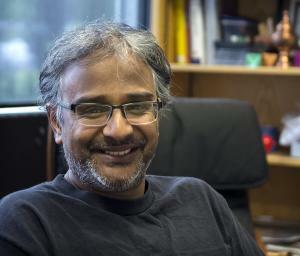 Suresh Venkatasubramanian is a professor at the University of Utah. His background is in algorithms and computational geometry, as well as data mining and machine learning. His current research interests lie in algorithmic fairness, and more generally the problem of understanding and explaining the results of black box decision procedures. Suresh was the John and Marva Warnock Assistant Professor at the U, and has received a CAREER award from the NSF for his work in the geometry of probability, as well as a test-of-time award at ICDE 2017 for his work in privacy. His research on algorithmic fairness has received press coverage across North America and Europe, including NPR’s Science Friday, NBC, and CNN, as well as in other media outlets. He is a member of the Computing Community Consortium (CCC) Council of the CRA, a member of the board of the ACLU in Utah, and a member of New York City’s Failure to Appear Tool (FTA) Research Advisory Council.